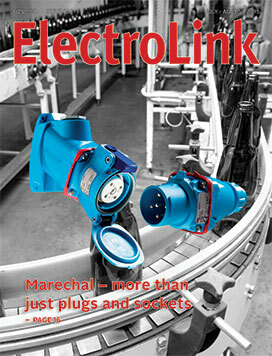 When Marechal Electric pioneered the ‘Decontactor’ load-break function to make disconnecting power completely safe for plant operators, plugs and sockets ceased being simple wiring accessories and became a vital part of plant safety and performance. Now after 15 years of representing Marechal in New Zealand, Bremca’s Ross Flannery says the advanced functions built into Marechal connectors have taken electrical connectivity to a new level and improved not just safety, but also plant efficiency and reduced downtime. Marechal products have been readily available from Bremca since 2001 and now the distribution arrangements between Bremca and Marechal’s regional assembly and distribution hub in Victoria, Australia have been strengthened. Bremca has appointed a business development manager for Marechal and Technor in New Zealand, Ashley Brown. The way electrical inspections are carried out could be heading for a radical change and could go as far as scrapping the monopoly on inspections in favour of a peer review of high-risk work by a second electrician to verify installation work is safe. Investigations and audits carried out by Energy Safety following its establishment of the high-risk database in 2013 have failed to provide convincing evidence that the majority of inspectors know what they should be doing when carrying out inspections and recording their findings in a record of inspection (RoI). The high-risk database was set up to provide Energy Safety and the Electrical Workers Registration Board (EWRB) with a direct window into the work of inspectors to see if their competencies are keeping track with changing technologies and whether they are performing the safety functions expected of them under the new risk-based architecture introduced in the 2013 amendment to the electricity regulations. A keynote speaker at the Electricity Engineers Association conference in Wellington, former NASA astronaut and Navy pilot Wendy Lawrence drew on her experiences in the space flight program to reinforce the value of investment in robust risk analysis. The veteran of four space shuttle missions over 14 years, Lawrence told delegates that there were times as an NASA astronaut that she questioned the effectiveness of risk strategies in the aftermath of the Columbia shuttle disaster and during the build-up to a resumption of space shuttle flights. Lawrence was one of seven crew on STS-114, the mission known as the ‘return to flight’ launched by NASA on July 26, 2005, two and a half years after the loss of Columbia and its seven crew. 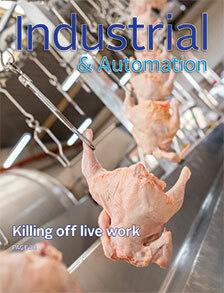 Changes to workplace safety law tightening prohibitions on live electrical installation work could have a significant effect on industry and its expectations on being able to carry out electrical work with machinery and processes still running. The Government has agreed to changes that include the transfer of health and safety regulations that currently sit in Part 8 of the Electricity Regulations (along with the adoption of relevant elements of Australian model law) that will very probably ban live work in all but exceptional circumstances. These provisions will be incorporated in the second wave of new Health and Safety at Work regulations and the impact of the changes could be dramatic. This gives industry time to consider the planned changes so that representations can be made during consultation processes prior to the promulgation of the new regulations. Not only is live electrical work expected to be virtually eliminated, the legal defences to carrying it out when something goes wrong are likely be stacked in the prosecutor’s favour by effectively reversing the burden of proof. 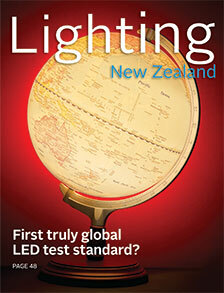 First truly international LED test standard? As LED lighting continues to mature, standards are finally becoming available with much needed measures of performance to help specifiers better compare competing products. As part of this development, the International Commission on Illumination (CIE) has developed an advanced test method for performing photometric, colorimetric and electrical measurements on LED lamps, LED modules, and LED luminaires. Now released as a new standard – CIE S 025/E: 2015 (Test Methods for LED Lamps, LED Luminaires and LED Modules) – it is now being promoted as the first truly international LED test standard to make test measurements on LED devices compatible around the world. Should poor quality LEDs be purged from the market? LED lighting suppliers on both sides of the Tasman are on notice that poor performing LED lamps and luminaires are likely to be the target of a mandatory minimum energy performance standard (MEPS). Despite LED being a metaphor for energy efficiency, mandatory performance standards are considered by energy efficiency regulators as necessary to lift the overall performance of LED lighting products and prevent further incidence of consumer resistance to LED lighting in the residential sector. They claim a lack of regulatory control over LED performance thresholds has encouraged Australia and New Zealand to become dumping grounds for second and third tier LED products and particularly LED retrofit lamps for general lighting applications.